Will Mindy Lahiri end up with Danny after all? 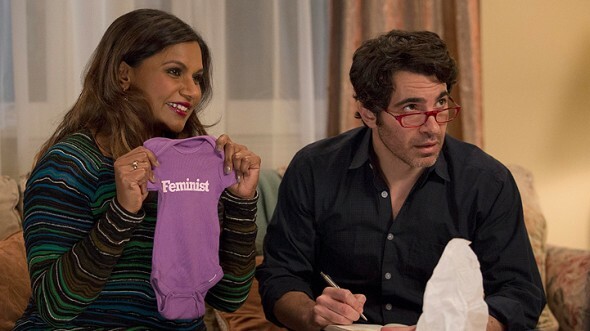 TVLine reports Chris Messina will return for the sixth and final season of The Mindy Project. The comedy follows the ups and downs of Mindy Lahiri (Mindy Kaling), an OB/GYN living in New York City. The cast also includes Ike Barinholtz, Garret Dillahunt, Ed Weeks, Beth Grant, and Xosha Roquemore. They’re both married to other people, so we went into the [final] season with that [complication], which is fun and delicious. The sixth and final season of The Mindy Project premieres on Hulu on September 12th. What do you think? Do you watch The Mindy Project? What do you hope happens in the final season? More about: Hulu TV shows: canceled or renewed?, The Mindy Project, The Mindy Project: canceled or renewed? The Mindy Project: Cancelled or Renewed for Season Seven on Hulu? The Mindy Project: Will Chris Messina be in Season Five?